ABSTRACT: There are up to 25000 genes encoded by our genome however among them only some are being expressed on mass level. Some of these important genes are; ABO genes located at chromosome number 9, ALB genes located at chromosome number 4, BCL-2 genes located at chromosome number 18, CCR-5 genes located at chromosome number 3, CD4 genes located at chromosome number 12, CD8 genes located at chromosome number 2, IL10 genes located at chromosome number 1, IL2 genes located at chromosome number 4 and INS genes located at chromosome number 11. These above mentioned genes are important in the proper functioning of the body and any mutation in them could lead to different genetic disorders. INTRODUCTION: The total number of genes encoded by the human genome has been controversial 1-2. Initially the number was thought to be over 150,000 however human genome project in 2003 reduced this number to the range of 20000 to 25000 1-4. Even now in 2012, the debate of exact number of genes in our genome rages on and according to a recent study this number is around 20000 genes 5. These genes code only 2% of our genome and among these 2% portion only 1.5% is for protein coding sequences while the rest codes for non-coding RNA, introns and sequences of unclear function 6. Additionally the 80% functional part of our genome only has 1.6% part as genes while the rest include many functional elements e.g. 4 million switches 7. Some genes in our bodies are in constant use hence in this article we had tried to review few important ones from them. ABO Genes: These genes are located on chromosome number 9 at location 136.13-136.15 Mb and have a length of 20000 bp 8. These genes encode proteins that determine a person blood group. The normal function of their product protein (glucosyltransferases) is to perform glycosyl transferase activity on the oligosaccharides present on the cell surface membranes 9. For instance a person with blood group O would have deletion of guanine-258 in ABO gene which in turn leads to mutation near the N-terminal of protein 9. This change in the sequence is referred as frameshif mutation 9. These mutated proteins produced are hence unable to modify oligosaccharides. On the other hand the presence of either allele A or B determine if the glycosyltransferase activity of oligosaccharides would be with addition of N- acetyl galactosamine or galactose hence converting it into antigen A or B respectively 9-10. Therefore individual having both alleles expression would have blood group AB while those with one would have that particular blood group. It is worth noting that the difference in the protein encoded by these two alleles is of just four amino acids 9. ALB genes: These genes, also known as albumin, have a locus of 4q11-q13 11. Their product is a globular protein that is most abundant in blood plasma of mammals 12. These globular proteins are very important in balancing the oncotic pressure 13. This oncotic pressure is essential for body fluid distribution around the body tissues and cavities. Apart from its major function ALB genes product, the globular protein, also prevent the passage of hydrophobic steroid hormones from the plasma to the body tissues by acting as a non-specific plasma carrier . Furthermore it also binds to molecules like fatty acids and helps in its transport across the blood stream . However if overexpressed the ALB gene product can have adverse effects. BCL-2 genes: B-cell lymphoma-2 genes are present on chromosomes 18 with locus of 18q21.3 (60.79-60.99 Mbp) 15. It product is a protein called apoptosis regulator proteins which regulates the programed cell death of cells 16. BCl-2 genes are also involved in different types of cancers; lung cancer, prostate cancer, breast cancer etc. 17. These genes are also involved in number of other diseases like autoimmunity and schizophrenia 18, 19. Furthermore it is also suggested by several cancer biologists that these genes are involved in resistance to different cancer treatment procedures. These genes have been considered as important therapeutic targets for mRNA therapies and other BCL-2 inhibitors however none of these products have acquired FDA approval for marketing because of several drawbacks and lack of appreciable results 20-23. CCR-5 genes: Also known as CD195 or C-C chemokine receptors type 5 genes are present on chromosome 3 at a locus of 3p21 (46.41 – 46.42 Mbp) 24. These genes encode a cell surface receptors protein (CCR5 proteins, a G-coupled receptor) of white blood cells that are involved in recognition of WBC by chemokines 24-25. CCR5 proteins are involved in entry of HIV strains into the host cells hence in certain population where mutation had occurred in these CCR5 genes immunity to certain HIV strains have been observed 26. Furthermore studies have suggested CCR5 involvement in resistance to different types of infections 27. 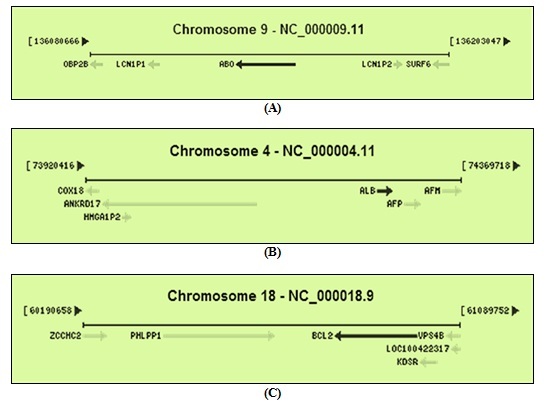 CD4 genes: Cluster of differentiation 4 genes are located on chromosome number 12 at a locus of 12p12 (6.9-6.93 Mbp) 28. These genes encode a cell surface receptor glycoprotein called CD4 receptors 29. These proteins are present on cell surface of immune cells; T helper cells, dendritic cells, monocytes and macrophages 28. The main function of CD4 is as a co-receptor to help T cell receptors (TCR) in presenting the antigen on its surface, an essential process of immune system 30. Furthermore CD4 proteins are also thought to be interacting with SPG21, UNC-119 homolog and Lck proteins 30-37. CD4 receptors on T cells are also involved in entry of HIV strains into these cells 38. This entry occurs when gp41 receptors on HIV strains attaches with CD4 receptors on T cells 38 Additionally CD4 genes are found to be involved in number of other disorders including; autoimmune diseases and type-I diabetes mellitus 39. 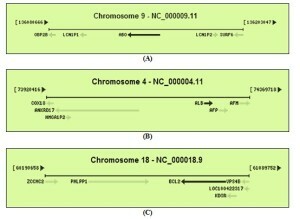 CD8 genes: Cluster of differentiation-8 genes are located on chromosome number 2 and at locus 2p12 40. CD8 genes have 2 isoforms called alpha and beta isoforms and in human being both of these are present on chromosome number 2 at the same locus (2p12) 40. These genes encode another transmembrane glycoprotein called cluster of differentiation 8 proteins 40. These proteins serve as co-receptors with T cell receptors (TCR) to help in antigen presentation mechanism of T cells as an immune system response. CD8 proteins are specific to major histocompatibility class 1 complex (MHC) molecule 41. CD8 genes are expressed predominantly in cytotoxic T cells however they are also reported to be present on natural killer cells, dendritic cells and cortical thymocytes cells 42. IL10 genes: Interleukin 10 genes also known as human cytokine synthesis inhibitory factor (CSIF) are located on chromosome 1 at a locus of 1q31-32 (206.94 – 206.95 Mb) 43. These genes are expressed mainly in monocytes but its expression has also been reported in lymphocytes, T cells and B cells 44. The product of these genes called as IL10 proteins are inflammatory cytokines that released by cytotoxic T cells to prevent the action of natural killer (NK) cells during body immune response to viral infections 45-47. IL 10 cytokine regulate MHC class II antigens, Th1 cytokines and co-stimulatory on macrophages and also improves B cells survival chances, its proliferation, and ability to produce particular antibodies 45-47. Furthermore these cytokines can regulate JAK-STAT signaling pathway. IL2 genes: Interleukin 2 genes are located on chromosome number 4 at a locus of 4q26-27 (123.37 – 123.38 Mbp) 48. These genes are mainly expressed in T-cells and their product IL2 is a cytokine that is involved in regulation of white blood cells activity in our immune systems 49-51. These IL2 genes are very important in immune system as their product plays a vital part in our body natural responses to microbial infections 51. Additionally these cytokines are essential in directing the immune response towards pathogens and in protecting self, own body cells 52. IL2 basically works by activating different signaling pathways that include the Ras/MAPK, Jak/stat and PI 3 kinase/Akt signaling pathways 53. The major function of IL2 is in growth, proliferation and differentiation of T-cells into effector T-cells 54. Furthermore these cytokines are also involved in generating the immunologic memory of T cells and in development of T cells in thymus to regulatory T cells 55-57. Additionally the IL2 cytokines are also reported to be associated with several disorders including pruritus and various cancers 58. Other studies in recent times have shown that by inhibiting IL2, immunosuppression could be achieved. Furthermore it is reported that therapies, based on IL2, for several disease especially for cancers had given encouraging results in labs 59. INS gene: Also known as ILPR, IRDN, IDDM2, MODY10 or simply insulin genes they are located on chromosome number 11 and at a locus of 11p15.5 . It is a protein coded gene and produces an essential precursor protein called proinsulin in our body 61-62. These proinsulin later on undergo posttranslational modifications to produce three peptide chains; A, B and C chains. The A and B chains are covalently bonded with disulfide bonds making insulin while the C peptide is removed 61-62. Recent studies have suggested that mutant alleles; with mutation in coding regions of the gene, of insulin genes do exist 63. However any inactivating mutation in the gene and would lead to inactive insulin and hence a common disease called diabetes mellitus type I 64. Claverie J: Gene Number. What if There are Only 30,000 Human Genes?. Science 2001; 291: 1255–7. Briggs H: Dispute Over Number of Human Genes 2001; BBC News Online. Pennisi E: A Low Number Wins the GeneSweep Pool. Science 2003; 300: 1484. Stein L. D: Human Genome: End of the Beginning. Nature 2004; 431: 915-916.
International Human Genome Sequencing Consortium: Initial sequencing and analysis of the human genome. Nature 2001; 409 (6822): 860–921. Ferguson-Smith MA, Aitken DA, Turleau C, de Grouchy J: Localization of the human ABO: Np-1: AK-1 linkage group by regional assignment of AK-1 to 9q34. Hum Genet 1976; 34 (1): 35–43. "Entrez Gene: ABO ABO blood group (transferase A, alpha 1-3-N-acetylgalactosaminyltransferase; transferase B, alpha 1-3-galactosyltransferase)"
Harper ME, Dugaiczyk A: Linkage of the evolutionarily-related serum albumin and alpha-fetoprotein genes within q11-22 of human chromosome 4. Am. J. Hum. Genet. 1983; 35 (4): 565–72. Zunszain PA, Ghuman J, Komatsu T, Tsuchida E, Curry S: Crystal structural analysis of human serum albumin complexed with hemin and fatty acid. BMC Struct. Biol. 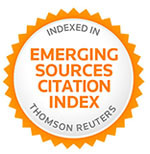 200; 3: 6. doi:10.1186/1472-6807-3-6. Otake Y, Soundararajan S, Sengupta TK, Kio EA, Smith JC, Pineda-Roman M, Stuart RK, Spicer EK, Fernandes DJ: Overexpression of nucleolin in chronic lymphocytic leukemia cells induces stabilization of bcl2 mRNA. Blood 2007; 109 (7): 3069–75. Li A, Ojogho O, Escher A: Saving death: apoptosis for intervention in transplantation and autoimmunity. Clin. Dev. Immunol. 2006; 13 (2–4): 273–82. Glantz LA, Gilmore JH, Lieberman JA, Jarskog LF: Apoptotic mechanisms and the synaptic pathology of schizophrenia. Schizophr. Res. 2006; 81 (1): 47–63. Dias N, Stein CA: Potential roles of antisense oligonucleotides in cancer therapy. The example of Bcl-2 antisense oligonucleotides. Eur J Pharm Biopharm 2002; 54 (3): 263–9. Mavromatis BH, Cheson BD: Novel therapies for chronic lymphocytic leukemia. Blood Rev. 2004; 18 (2): 137–48. Samson M, Libert F, Doranz BJ, Rucker J, Liesnard C, Farber CM, Saragosti S, Lapoumeroulie C, Cognaux J, Forceille C, Muyldermans G, Verhofstede C, Burtonboy G, Georges M, Imai T, Rana S, Yi Y, Smyth RJ, Collman RG, Doms RW, Vassart G, Parmentier M: Resistance to HIV-1 infection in caucasian individuals bearing mutant alleles of the CCR-5 chemokine receptor gene. Nature 1996; 382(6593): 722–5. 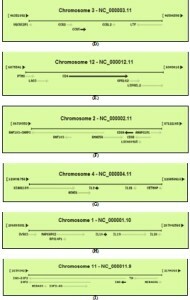 Samson M, Labbe O, Mollereau C, Vassart G, Parmentier M: Molecular cloning and functional expression of a new human CC-chemokine receptor gene. Biochemistry 1996; 35 (11): 3362–7. Agrawal L, Lu X, Qingwen J, VanHorn-Ali Z, Nicolescu IV, McDermott DH, Murphy PM, Alkhatib G: Role for CCR5Delta32 protein in resistance to R5, R5X4, and X4 human immunodeficiency virus type 1 in primary CD4+ cells. J. Virol. 2004; 78 (5): 2277–87. Hütter G, Nowak D, Mossner M, Ganepola S, Müssig A, Allers K, Schneider T, Hofmann J, Kücherer C, Blau O, Blau IW, Hofmann WK, Thiel E: Long-term control of HIV by CCR5 Delta32/Delta32 stem-cell transplantation". N. Engl. J. Med. 2009; 360 (7): 692–8. Ryu SE, Truneh A, Sweet RW, Hendrickson WA: Structures of an HIV and MHC binding fragment from human CD4 as refined in two crystal lattices". Structure 1994; 2 (1): 59–74. Brady RL, Dodson EJ, Dodson GG, Lange G, Davis SJ, Williams AF, Barclay AN: Crystal structure of domains 3 and 4 of rat CD4: relation to the NH2-terminal domains. Science 1993; 260 (5110): 979–83. Zeitlmann, L; Sirim P, Kremmer E, Kolanus W: Cloning of ACP33 as a novel intracellular ligand of CD4. J. Biol. Chem. (United States) 2001; 276 (12): 9123–32. Rudd CE, Trevillyan JM, Dasgupta JD, Wong LL, Schlossman SF: Pillars article: the CD4 receptor is complexed in detergent lysates to a protein-tyrosine kinase (pp58) from human T lymphocytes. 1988. J. Immunol. 2010; 185 (5): 2645–9. Rudd CE, Trevillyan JM, Dasgupta JD, Wong LL, Schlossman SF: The CD4 receptor is complexed in detergent lysates to a protein-tyrosine kinase (pp58) from human T lymphocytes. Proc. Natl. Acad. Sci. U.S.A. 1988; 85 (14): 5190–4. Barber EK, Dasgupta JD, Schlossman SF, Trevillyan JM, Rudd CE : The CD4 and CD8 antigens are coupled to a protein-tyrosine kinase (p56lck) that phosphorylates the CD3 complex.Proc. Natl. Acad. Sci. U.S.A. 1989; 86 (9): 3277–81. Hawash IY, Hu XE, Adal A, Cassady JM, Geahlen RL, Harrison ML: The oxygen-substituted palmitic acid analogue, 13-oxypalmitic acid, inhibits Lck localization to lipid rafts and T cell signaling. Biochim. Biophys. Acta 2002; 1589 (2): 140–50. Foti M, Phelouzat MA, Holm A, Rasmusson BJ, Carpentier JL: p56Lck anchors CD4 to distinct microdomains on microvilli. Proc. Natl. Acad. Sci. U.S.A. 2002; 99 (4): 2008–13. Gorska MM, Stafford SJ, Cen O, Sur S, Alam R : Unc119, a Novel Activator of Lck/Fyn, Is Essential for T Cell Activation. J. Exp. Med. 2004; 199 (3): 369–79. Kwong PD, Wyatt R, Robinson J, Sweet RW, Sodroski J, Hendrickson WA: Structure of an HIV gp120 envelope glycoprotein in complex with the CD4 receptor and a neutralizing human antibody. Nature 1998; 393 (6686): 648–59. Zamani M, Tabatabaiefar MA, Mosayyebi S, Mashaghi A, Mansouri P: Possible association of the CD4 gene polymorphism with vitiligo in an Iranian population. Clin. Exp. Dermatol. 2010; 35 (5): 521–4. Leong, Anthony S-Y, Cooper, Kumarason, Leong F, Joel W-M: Manual of Diagnostic Cytology (2 ed.) 2003; Greenwich Medical Media, Ltd.p.73. Eskdale J, Kube D, Tesch H, Gallagher G: Mapping of the human IL10 gene and further characterization of the 5' flanking sequence. Immunogenetics 1997; 46 (2): 120–8. Said E. A., Trautmann L., Dupuy F., Zhang Y., Ancuta P., El-Fari M., Douek D., Haddad E., and Sekaly R.-P: PD-1 Induced IL10 Production by Monocytes Impairs T-cell Activation in a Reversible Fashion, Nature Medicine 2009; 452–459. Grimbaldeston MA, Nakae S, Kalesnikoff J, Tsai M, Galli SJ: Mast cell-derived interleukin 10 limits skin pathology in contact dermatitis and chronic irradiation with ultraviolet B". Nat. Immunol. 2007; 8 (10): 1095–104. Ho, A S; Liu Y, Khan T A, Hsu D H, Bazan J F, Moore K W: A receptor for interleukin 10 is related to interferon receptors. Proc. Natl. Acad. Sci. U.S.A. (UNITED STATES) 1993; 90 (23): 11267–71. Josephson, K; Logsdon N J, Walter M R: Crystal structure of the IL-10/IL-10R1 complex reveals a shared receptor binding site. Immunity (United States) 2001; 15 (1): 35–46. Smith KA, Lachman LB, Oppenheim JJ, Favata MF: The functional relationship of the interleukins". J. Exp. Med. 1980; 151(6): 1551–6. Robb RJ, Smith KA: Heterogeneity of human T-cell growth factor(s) due to variable glycosylation. Mol. Immunol. 1981; 18 (12): 1087–94. mith KA, Favata MF, Oroszlan S: Production and characterization of monoclonal antibodies to human interleukin 2: strategy and tactics. J. Immunol. 1983; 131 (4): 1808–15. Sakaguchi S, Sakaguchi N, Asano M, Itoh M, Toda M: Immunologic self-tolerance maintained by activated T cells expressing IL-2 receptor alpha-chains (CD25). Breakdown of a single mechanism of self-tolerance causes various autoimmune diseases".J. Immunol. 1995; 155 (3): 1151–64. Cantrell DA, Smith KA: The interleukin-2 T-cell system: a new cell growth model. Science 1984; 224 (4655): 1312–6. Thornton AM, Shevach EM: CD4+CD25+ immunoregulatory T cells suppress polyclonal T cell activation in vitro by inhibiting interleukin 2 production". J. Exp. Med. 1998; 188 (2): 287–96. Thornton AM, Donovan EE, Piccirillo CA, Shevach EM: Cutting edge: IL-2 is critically required for the in vitro activation of CD4+CD25+ T cell suppressor function". J. Immunol. 2004; 172 (11): 6519–23. Fallahzadeh MK, Roozbeh J, Geramizadeh B, Namazi MR: Interleukin-2 serum levels are elevated in patients with uremic pruritus: a novel finding with practical implications". Nephrol. Dial. Transplant. 2011; 26 (10): 3338–44. Chang X, Jorgensen AM, Bardrum P, Led JJ: Solution structures of the R6 human insulin hexamer. Biochemistry 1997; 36(31): 9409–22. Katsoyannis PG, Fukuda K, Tometsko A, Suzuki K, Tilak M, Panayotis G.; Fukuda, Kouhei; Tometsko, Andrew; Suzuki, Kenji; Tilak, Manohar Insulin Peptides. X. The Synthesis of the B-Chain of Insulin and Its Combination with Natural or Synthetis A-Chin to Generate Insulin Activity. Journal of the American Chemical Society 1964; 86 (5): 930–932. Bluestone JA, Herold K, Eisenbarth G: Genetics, pathogenesis and clinical interventions in type 1 diabetes. Nature 2010; 464 (7293): 1293. Ahmad H, Nisar W, Sherwani S, Saqib S and Wahid A: Important Human Genes: Their length, location, product, importance in proper body functioning and involvement in Genetic disorders. 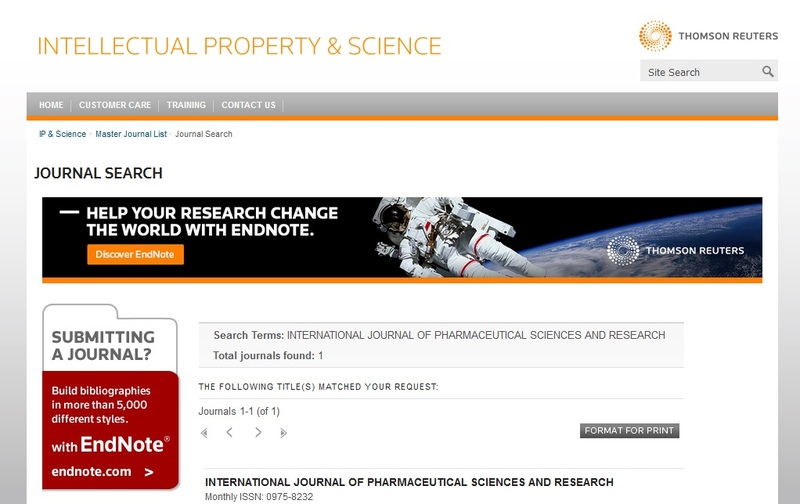 Int J Pharm Sci Res 2013; 4(5); 1638-1643.